TGI Valentine's Day Skate Party! 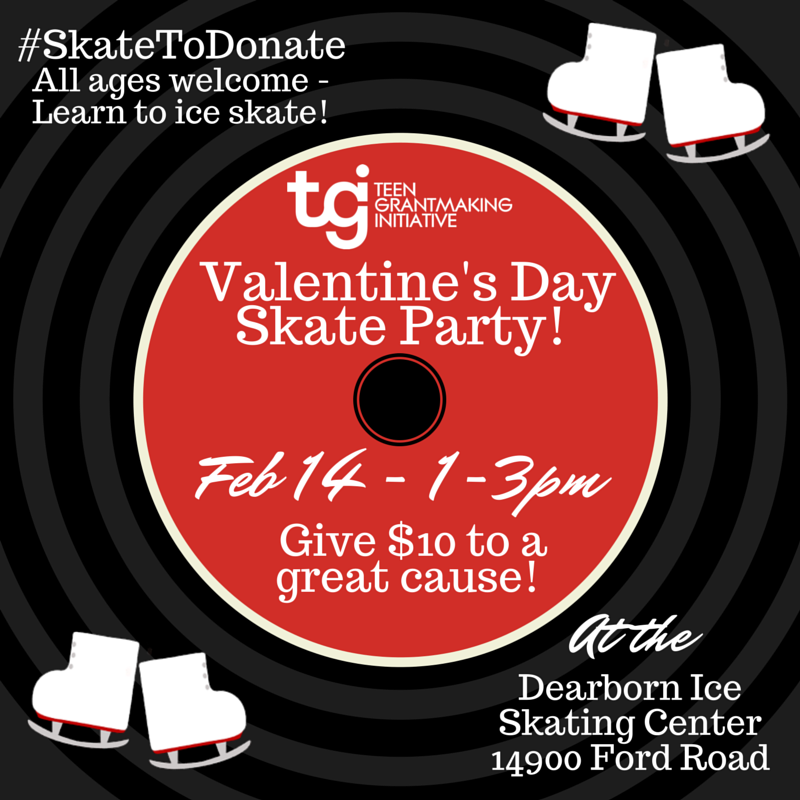 On Valentine’s Day, February 14, 2015, the Teen Grantmaking Initiative (TGI), lead by the Center for Arab American Philanthropy (CAAP), a project of ACCESS, will host a fundraising ice skating party at the Dearborn Ice Skating Center in Dearborn from 1 - 3 p.m. The cost to participate is $10 per person and includes skate rental, and instruction. Families are invited to participate! TGI is the only Arab American youth philanthropy group in the country. The award-winning program teaches high school students about community issues, grantmaking, nonprofit management, communication and community leadership. All money raised from this event will contribute to TGI’s grantmaking fund that is distributed to local community youth programs. Tickets can be purchased online or at the location.